Less than a month after announcing a $15 million Series A funding round and resolution of a legal fight with its hometown Santa Monica, shared electric scooter startup Bird raised a further $100 million to take its low-cost “last-mile” service nationwide. The company was founded last year by former Uber and Lyft executive Travis VanderZanden and operates around Los Angeles and in San Diego. With the additional funds, it intends to have its battery-powered scooters in 50 markets by the end of the year, Bird said in a statement. The series B round was by led Valor Equity Partners and Index Ventures, while Craft Ventures and Goldcrest boosted their stakes, and Tusk Ventures and Upfront Ventures joined in the round, Bird said. 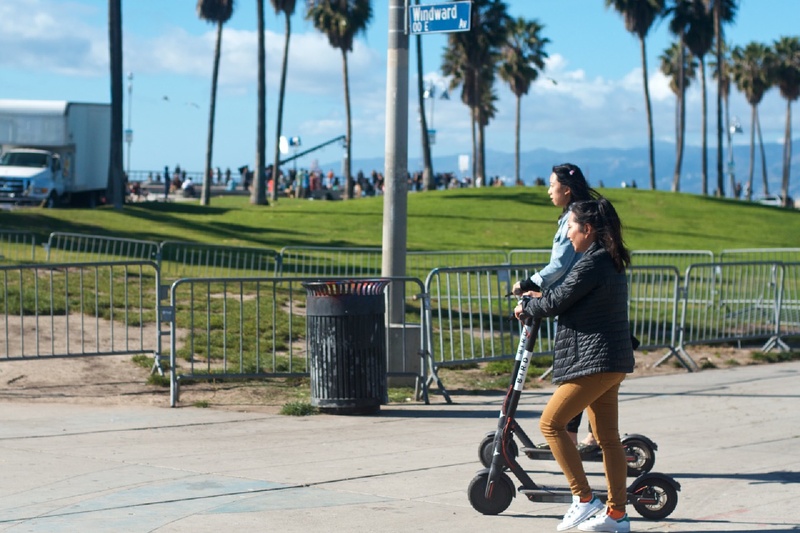 Although wildly popular with Santa Monica commuters, visitors and residents, the undocked Bird scooters, which riders can essentially leave wherever they like when done using, created headaches for city officials. Santa Monica sued the company in December, but the two sides resolved the matter in February when Bird agreed to pay fines of more than $300,000 and secure the necessary licenses for operation. Now it’s looking to grow, and fast. “Bird has a transformative, last-mile electric vehicle solution with a powerful community of enthusiastic riders, and it’s by far the first-mover in the field,” Antonio Gracias, Valor’s founder and a Tesla and SpaceX board member, said in a statement. “We believe Bird is writing the next chapter in transportation and is poised to become the next great company in this space. Riding one requires only downloading the Bird app, which directs users to available scooters. Once located the app is used to scan a Q-code on a Bird, and after driver’s license and credit card information are put in, it’s time to ride. There’s a base charge of $1 plus 15-cents per mile. As of mid-February, more than 250,000 rides had been taken on Bird’s scooters. CEO VanderZanden declined to tell Forbes who manufacturers the scooters and where they’re made, though they bear a strong resemblance to Segway’s $399 ES1 electric scooter. When done riding, users are encouraged to park the Birds in accessible locations, but without blocking sidewalk access. Riders are also supposed to wear helmets and use the vehicles in bike lanes, rather than sidewalks. Bird uses a network of contractors to pick up and recharge the vehicles overnight, before putting them out again early the next day.